March 31st – April 4th, 2014. It is our imagination, our deep imagination, that allows us to comprehend the voice of running water; to overhear the song of a place; to move between the knowable world and the unknowable world; to stand in the presence of the infinite; to discover our unique ways of participating with the Mystery that courses through all things; and to connect with the secrets of our own souls. Imagination is the essential human capacity that grants us entry to the magic that lies behind the veil of our ordinary ways of perceiving and experiencing. Deep imagination is a translator, fluent in the languages of animal and plant, canyon and star, wind and stone, as well as the languages of our own depths — the expressive modes of nature and soul being essentially the same. But, to be clear, this is not a one-way path, for imagination not only allows us to receive, but to offer as well. We rely upon imagination for our own expression, for our own communication across these same frontiers. Imagination is central to our own capacity to participate meaningfully with the rest of creation in bringing forth the world. And, the rest of creation is longing for us to participate in this great dance in our individual unique ways — through the embodied life of our souls. Access to our deep imagination is vital on the journey to soul because we are drawn into intimate conversation with the mysteries of Earth and Cosmos and the depths of psyche. In this communion, we hope to catch shimmering glimpses of how we are called to embody a unique and wild relationship with all of life. And yet, while imagination is an innate part of our humanness, it can lie dormant, unvalued, or even feared. The mainstream culture of our time and its dominant institutions revere the rational, explainable, and quantifiable. Deep imagination, in contrast, is not a tool or a construction of the ego; it is not active in guided visualization or in everyday fantasy and make-believe. Our deep imaginations, rather, allow images to arise unbidden from the wild depths of nature and psyche, images that can take the form of symbol, metaphor, pattern, dream, myth, archetype, poetry, song, music, movement, and dance. During this intensive, we will open ourselves to our own innate imaginal capacities, find ourselves in intimate contact and conversation with the wild world, and allow ourselves to be irrevocably changed. 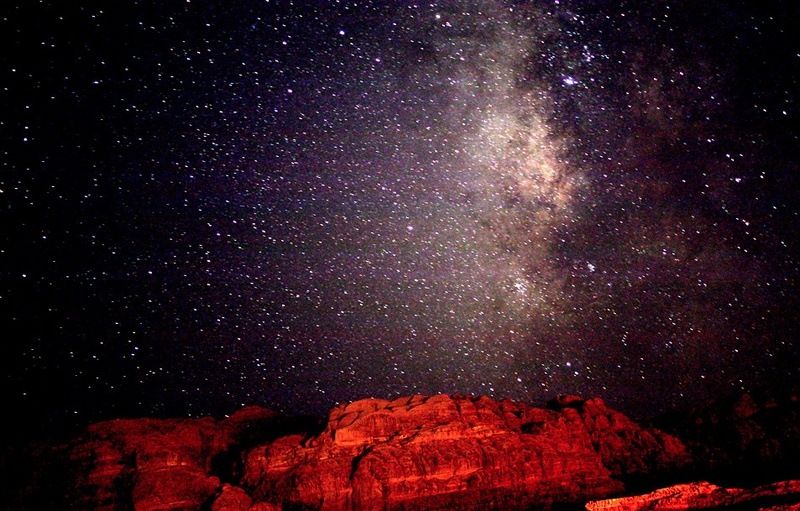 If you are longing to open to the mysterious beauty of Earth, Cosmos, and your own soul, please join us beneath the immense and penetrating sky of Joshua Tree National Park. We will be camped at 3000 foot elevation in the convergence of the Mojave and Colorado deserts, with a vast horizon of stone and cloud and a round and waxing Moon. We will amplify our deep imagination, along with our capacities for deep feeling, sensing, and thinking. We will open the door wide to our unique place in the world. We will engage in consciousness shifting and imagination-enhancing practices that may include: wanderings on the land; drumming and rhythm; song, movement, dance, and art in collaboration and conversation with the nonhuman world; conversations across species boundaries; dreamwork; and self-designed ceremony; in addition to a variety of approaches to deep imagery journeys. You will discover more about the practices, conditions, and environments (both of the land and of yourself) that render you more permeable to the mysteries of nature and psyche, enabling your journey to continue unfolding after you leave the desert and stride deeper into the world. Mary is a soul-guide, mentor and wilderness guide. She creatively and heart-fully invites people to be in intimate and vulnerable relationship with Nature, Soul and Spirit. Nate Bacon’s passion as a guide is firmly rooted in the fecund soil of our carnal reciprocity with the more-than-human world – and our inherence within that world. His work explores the intertwined and braided rivers of perception, language, and worldview with a commitment to the re-wilding of human culture. He is dedicated not only to undermining the psycho-cultural structures of our modern ways of being in the world, but also to re-membering how to feed and truly be fed by this wild and holy world that we call nature. 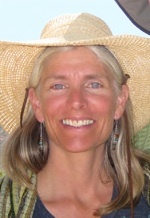 A wildlife tracker, cultural ecologist, and writer with an M.A. in Philosophy, Cosmology, and Consciousness from the California Institute of Integral Studies, Nate brings fierce compassion and a deep love for the mysterious yearnings of soul to his guiding. 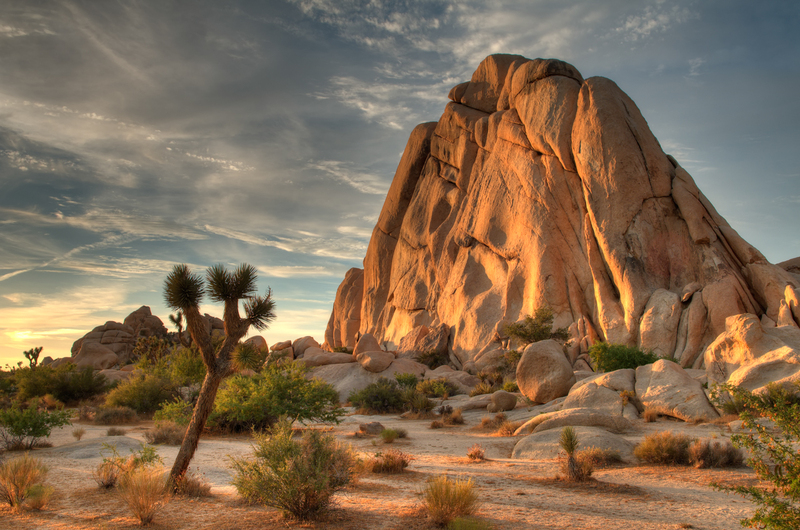 Joshua Tree National Park is immense, nearly 800,000 acres, and infinitely variable. It can seem unwelcoming, even brutal during the heat of summer when, in fact, it is delicate and extremely fragile. This is a land shaped by strong winds, sudden torrents of rain, and climatic extremes. The park encompasses some of the most interesting geologic displays found in California’s deserts. Rugged mountains of twisted rock and exposed granite monoliths testify to the tremendous earth forces that shaped and formed this land. Arroyos, playas, alluvial fans, bajadas, pediments, desert varnish, granites, aplite, and gneiss interact to form a giant mosaic of immense beauty and complexity.